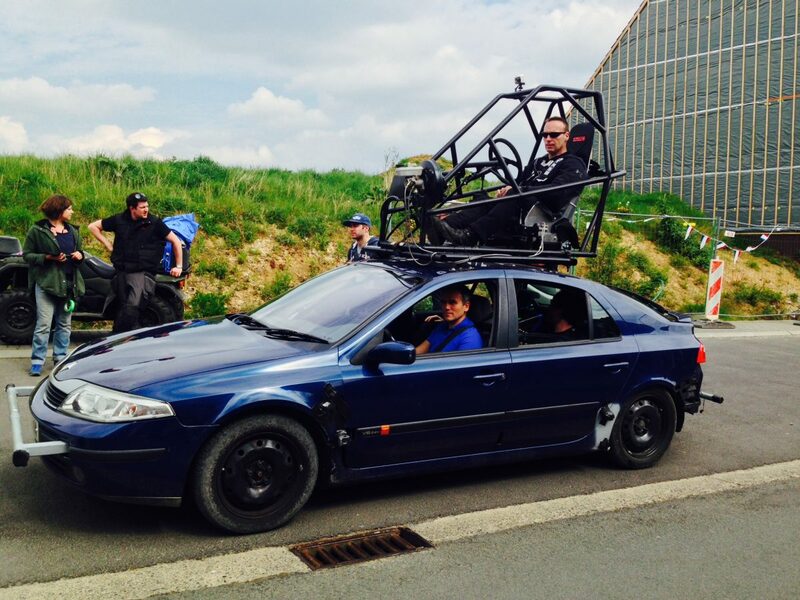 Stunt Guild Ireland’s Brendan Condren recently filmed a precision stunt driving scene for the tv series The Missing. Shot on location in Brussels, Brendan had the privilege to drive star Tcheky Karyo around the streets of Brussels in a recently developed pod car. The Missing, made by New Pictures and Company Pictures in association with Two Brothers Pictures and Playground, will air on US channel Starz as well as BBC1 later this year. Filming has started in Brussels for the series, which also stars Frances O’Connor (Mister Selfridge), Jason Flemyng (X-Men: First Class), Ken Scott (The Hobbit), Arsher Ali (Four Lions) and French actor Tcheky Karyo (Goldeneye). The eight-part series is centred on the search for missing child Oliver, who vanishes while on holidays in France, and follows the relationship of Tony (Nesbitt) and his wife Emily (O’Connor). Karyo will play Julien, a French detective who leads the police investigation into Oliver’s disappearance.